The Bundesliga has built a fantastic reputation for nurturing young, home grown talent and in recent times there has been a glut of very promising, potentially world class players to emerge from the depths of the German football academies. There are a number of talented players who are currently lighting up the Bundesliga, Borussia Dortmund’s Mario Gotze, Marco Reus and Mats Hummels are just three of Die Schwarzgelben players who have caught the attention of global football and promise a bright future for the German national team. League rivals Bayern Munich boast their own array of young, German talent in Manuel Neuer, Toni Kroos and Thomas Mueller. Other high profile Bundesliga players now playing abroad include Mesut Ozil and Sami Khedira of Real Madrid as well as Lewis Holtby now of Tottenham, Chelsea’s Marko Marin and Arsenals young attacking midfielder Thomas Eisfeld. One of the latest players to be attracting the attention of the Premier League has not come through an academy of one of the top clubs but rather built a reputation playing in Germany’s lower divisions and bottom half of the Bundesliga. 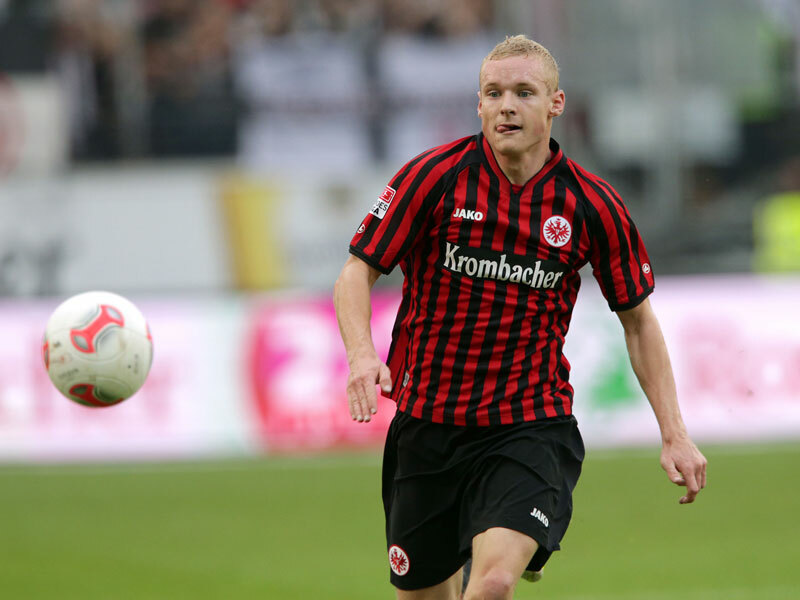 Sebastian Rode currently plays for Eintracht Frankfurt and his consistent performances have not gone unnoticed by clubs in Europe. Rode has been at the centre of a Frankfurt team who have taken the Bundesliga by storm this season, currently occupying fourth place behind the big boys Munich, Dortmund and Leverkusen, Frankfurt are only seven points off third place as of 3rd March 2013. Rode is a throwback to the archetypal central midfielder, combative and tenacious he is happy at either end of the field and his box-to-box energy has been a shining light for Frankfurt as they push for Champions League qualification. Filled with youthful exuberance the young German has put in some outstanding performances this season, making 24 league appearances in an ever-present campaign for Die Adlers. The 22-year-olds commitment to Frankfurt has been unwavering since he joined from Kickers Offenbach in 2010. He remained with the club after their relegation from the Bundesliga in 2011, turning down several offers to return to Germany’s top flight straight away. This commitment has paid off for Rode as he is now arguably the most valuable member of the Frankfurt squad, building a reputation as one of the most promising young talents in the league. Rode’s performances have attracted the interest of Premier League giants Arsenal and Tottenham Hotspur as well interest looming from the Bundesliga with Bayern Munich and Borussia Dortmund showing an interest in the midfielder. It is reported that the Frankfurt man would command a fee of around £7.5 million and considering the inflated transfer fee’s that are banded about by the big clubs in Europe who wave their cheque books around like a spoilt child’s Christmas list, £7.5 million would be a relative steal. Wenger has not managed to replace Alex Song since he was sold to Barcelona and Rode could be an ideal player to fill the hole left by the Cameroonian. With two current German internationals in Lukas Podolski and Per Mertesacker already in the Arsenal first team, Rode could be attracted by the prospect of playing with his compatriots. Tottenham have several strong midfield options and it would probably take Rode sometime to break into the first team with Scott Parker and Sandro occupying the more defensive central midfield roles. Sebastian Rode could be the next big export from the Bundesliga following in the footsteps of Holtby, Podolski, Mertesacker and Marin in the Premier League. His style of play is well suited to the English game and Rode has the potential and attitude to be a success at any of the top Premier League clubs. However, out of the teams reported to be interested in Rode, it is Arsenal who stand out. The Arsenal fan base has been crying out for Wenger to sign a combative central midfielder for some time now, a component which has arguably been missing since the departures of Patrick Vieira, Gilberto Silva and then Alex Song at the end of last season. Having said this, it is highly probable that Rode will remain in Germany to continue his development, if not at Eintracht Frankfurt then either Borussia Dortmund or Bayern Munich would be likely suitors.